Sometimes you take a moment and reflect on things and realize that you’ve learned things from people and didn’t get the chance to tell them. 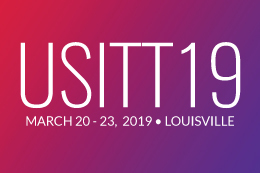 USITT has a moment of silence each year at the Conference to remember our colleagues who have died in the last year. This year, while the number is small, the impact is no less than in any given year. Zelma Weisfeld, Joy Emery, Ralph Pine, and Fred Foster will all be remembered. It was in reflecting on that group that I realized how much we all have to carry forward because of them. Be uncompromising when it comes to excellence. Each of them exuded this axiom not only in their demands of others but of themselves. Be humble and remember you are a human like everyone else. 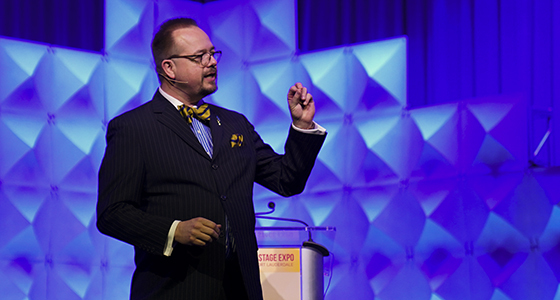 Share your passion with others so that it will live on. While your passion may seem niche to others, it doesn’t diminish the fervor with which you approach it. Face life’s challenges with humor; it is sometimes the only defense you have. USITT is what it is today because of the work of these four and many others. If you ever got to know or even simply interact with any of them, you are a lucky person. Take a moment and let people know they’ve mattered to you. It might be awkward. They might even give you an odd look and wonder why. But I promise it will do you both far more good.